In addition, the kids love working with these and we can easily make yard work into play time. We’ve gone and cracked our way through different brands so we’ll share the brands that have held up the best. Schome's oversized garden rakes feature claws that measure 13.5 inches by 10 inches for maximum yard cleaning reach. They feature a corrosion-resistant plastic design that wipes clean after each use, and the bright yellow design ensures that you'll be able to find them quickly and easily. The adjustable handles make it quick and easy to fit these rakes to different sized hands, and you can store them flat or hang them up. They're designed to fit all-season yard cleanup, and you can also use them to spread grass seed quickly and efficiently. These are recommended for light debris like small twigs and leaves. If you have heavier lawn debris though, this might not be too ideal as they are too fragile for heavy use. If you're someone who wants the flexibility to pick up a larger amount of leaves or debris with your hands but don't want to get your hands dirty, the Miles Kimball Garden Hands is a viable option. It features easily adjustable handles that make it a breeze to fit a variety of hand sizes for easy use. The broad design and the forked scoops enable you to quickly and easily pick up twigs or leaves. It is made of durable plastic so you won't have to worry about your hands being poked with sharp sticks or other sharp debris. 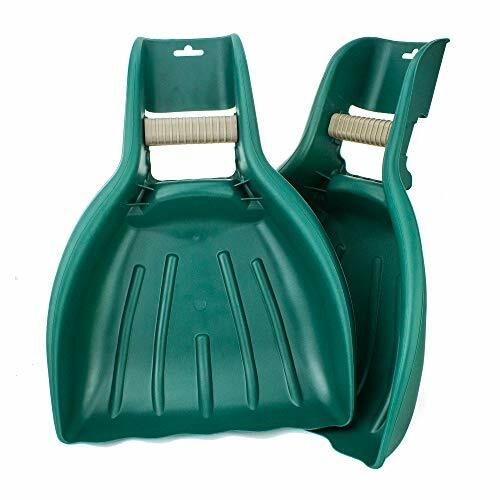 At half the cost of the SCHOME garden scoops, these can withstand more durable work loads. If you can only spend a few dollars, then the Miles Kimball should do. These extra-large scoops are recommended for gardeners with big hands and frames. Sized at 19.5”, you can scoop more debris with these than with other garden hand tools. The longer length also means less bending and stooping which is always good news for us gardeners with creaky backs. Despite their large size, they still manage to be lightweight and easy to use. 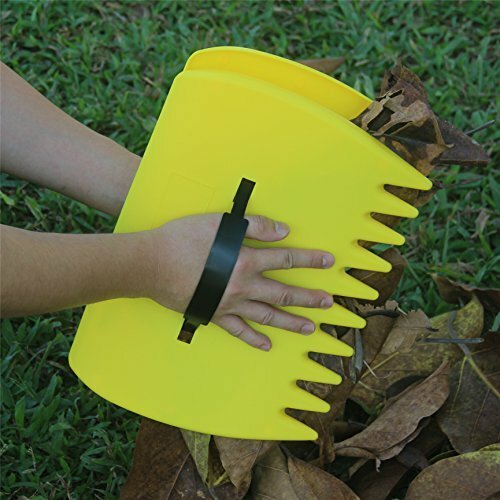 These leaf scoops are perfect for wet and dry leaves, and raked pine needles. Just scoop up the big debris first followed by the smaller stuff at the bottom of the pile, and then it’s straight to the compost heap or the bin. Large size; it’s like having the hands of a giant! Though not as cheap as leaf scoops under ten dollars, these have better design and performance than other leaf scoops in the market. If you have the budget, get these scoops especially if you have large hands and can’t make do with the small budget garden hands. Tabor's heavy-duty but flexible leaf scoops feature grabber claws that make it easy to pick up a variety of yard debris. You can support your grip by using the backs of your wrists and pressing against the allotted plastic braces. The longer reach ensures that your hands will stay away from any sharp debris. They're made with UV and crack-resistant plastic material for longevity, and they lay flat together for an easy storage option. Their longer design means that you won't have to bend as much to scoop up your leaves, and this saves your back. Also, the bright red design makes them easy to find. Tabor is known for its quality and producing some of the best leaf scoops available. For anyone who has a bad back, these are a must try to help alleviate the pain that comes with bending during yard work. 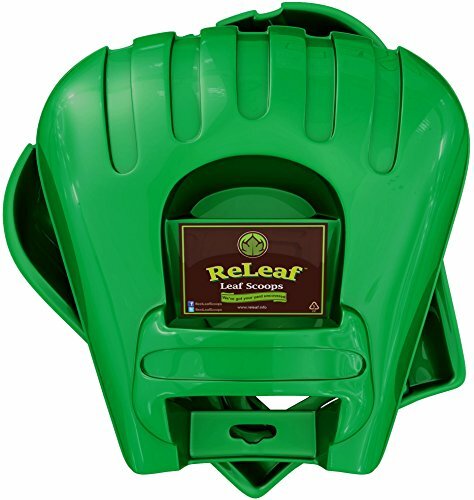 ReLeaf's oversized leaf scoops have a slightly curved design for added stability, and it's made out of heavy-duty plastic. 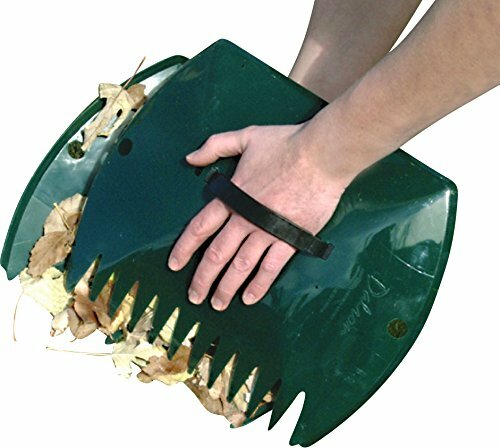 The handles are designed to give you better protection from the stinging nettles or hard debris in your yard. They're also multi-use, and you can use it for spreading mulch, feeding leaf shredders, or as a pet mess cleanup tool. They fit together well, and they feature a convenient slot for a hook that enables them to hang up for storage. The curved edges are also reinforced for added durability and longevity. They're lightweight and perfect for both small and large yards or garden work. 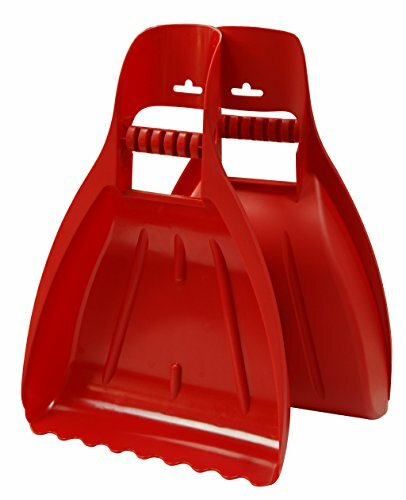 These multi-use leaf scoops are worth the extra money you pay for them because you get added protection for your hands and you can use them easily for a variety of things. They're also more heavy-duty than some things on the list.